Konstanz, Germany, June 12. 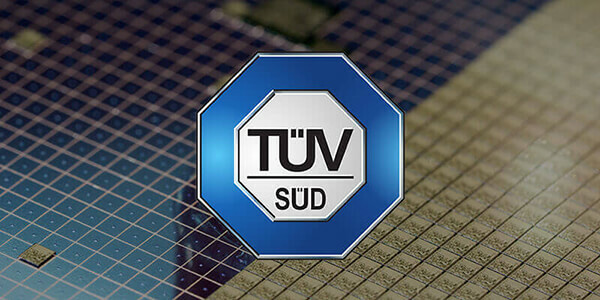 – Hyperstone GmbH is now ISO 9001:2015 certified by the TÜV SÜD Management Service. The audit early 2018 spanned the entire value chain, from development and production to sales. The auditors found no discrepancies from the standard at Hyperstone. The updated ISO 9001:2015 standard is the most efficient quality and management framework in place and assures our customers that we are focused on superior levels of customer satisfaction, high quality products and effective quality management. The International Organization for Standardization (ISO) concentrates on quality management, systems and performance. It aids companies in establishing a management system that aligns quality with their wider business strategy. There is a focus on risk-based thinking, and accountability in all organisational processes that helps improve communications and efficiency whilst simultaneously encouraging continuous improvement. Hyperstone´s focus lies on designing, developing and delivering innovative semiconductor solutions, a process which is heavily reliant on the rapidly evolving landscape of the semiconductor industry. This encompasses regulatory change, swift advances in technology as well as evolving global communication practices. Business models differ from company to company, however, it is invaluable to refresh and reassess these practices in order to optimise and uphold consistent, good quality products and services. Michael Güthe, Hyperstone´s Quality Manager said, “Our step from ISO 9001:2008 to the updated standard highlights our commitment in adjusting our business strategy to suit the needs of the changing semiconductor environment. It is in line with our goal to offer the best possible service and products to our customers and is ultimately essential in upholding a framework of success.” By meeting the criteria for these standards, Hyperstone has affirmed its ability to adhere to effective management systems, comply with security requirements, efficiently develop products and iterate internal processes.